While financial regulators are taking steps to prevent the financial exploitation of seniors, large brokerages have devised internal programs to fight the abuse as well, InvestmentNews writes. Wells Fargo Advisors led the charge in this respect, according to the publication. In 2010, the brokerage started tracking instances of financial exploitation of senior and elderly clients, InvestmentNews writes. The number of reported cases rose from about 30 a month in 2010 to 90 to 100 cases in 2014, Ron Long, director of regulatory affairs and elder client initiatives at Wells Fargo Advisors, tells the publication. The increase was in part due to the firm’s focus on training advisors to spot it, he says. 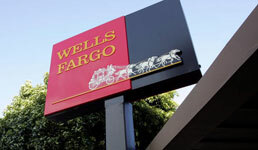 And more than two years ago, Wells Fargo formed a unit within in its compliance department to process reports of suspected fraud from advisors, InvestmentNews writes. The unit has fielded about 2,000 incidents of abuse and frequently brings in adult protective services agencies or financial regulators into the cases, according to the publication. Merrill Lynch, meanwhile, educates its advisors on preventing elder abuse and encourages them to acquaint themselves with their elderly clients’ family or close friends so they can turn to someone with any doubts, InvestmentNews writes. The wirehouse also gives its advisors an authorization form to get a trusted contact person advisors can consult about suspicious activity, according to the publication. Morgan Stanley has built a website on senior client-specific concerns for its advisors, InvestmentNews writes. It also trains its reps on identifying exploitation and has a protocol for taking up issues affecting senior clients to its legal unit, a company spokeswoman tells the publication. Charles Schwab and Edward Jones also trains its advisors on spotting and reporting abuse, InvestmentNews writes. Smaller wealth management firms are taking similar steps, according to the publication. Fraud effects one in five Americans over 65 and costs them $2.9 billion every year, and regulators and lawmakers have also taken steps to fight it. Last week, the SEC approved Finra’s proposal to require financial institutions to make reasonable efforts getting the contact information of a client’s trusted person and giving advisors leeway to halt suspicious disbursement requests. The SEC also put senior protection on its list of examination priorities in 2016. And in February, senators reintroduced a bill to shield firms from legal liability when reporting suspected financial abuse of seniors. The House of Representatives passed its version of the bill last summer.